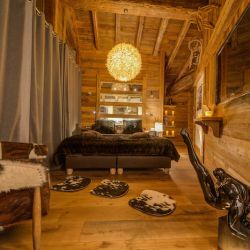 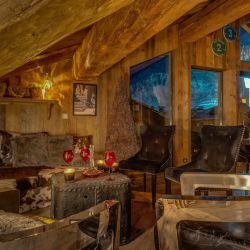 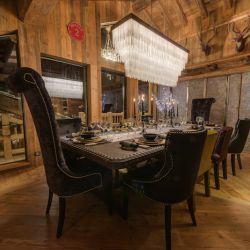 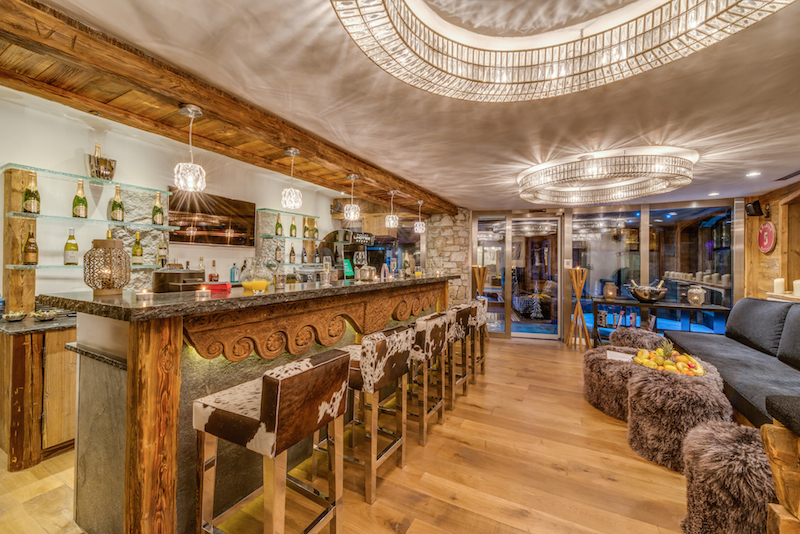 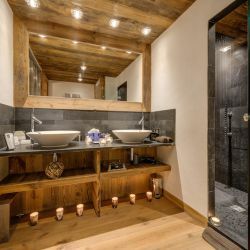 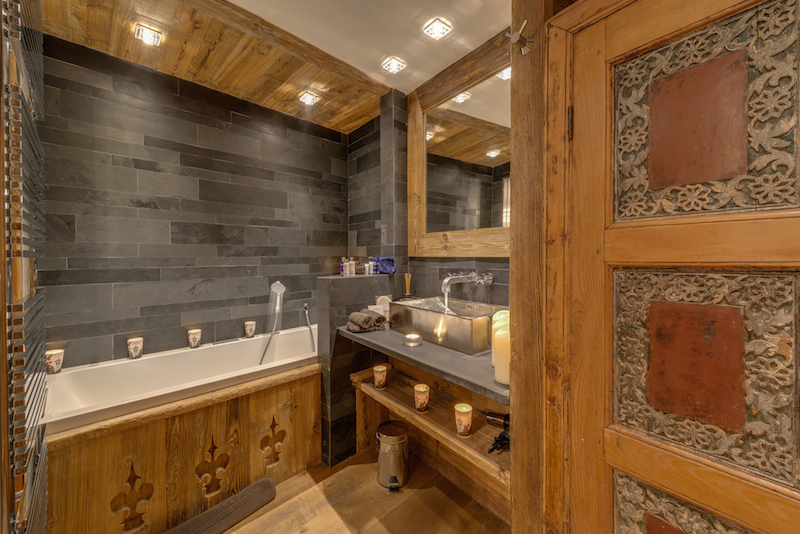 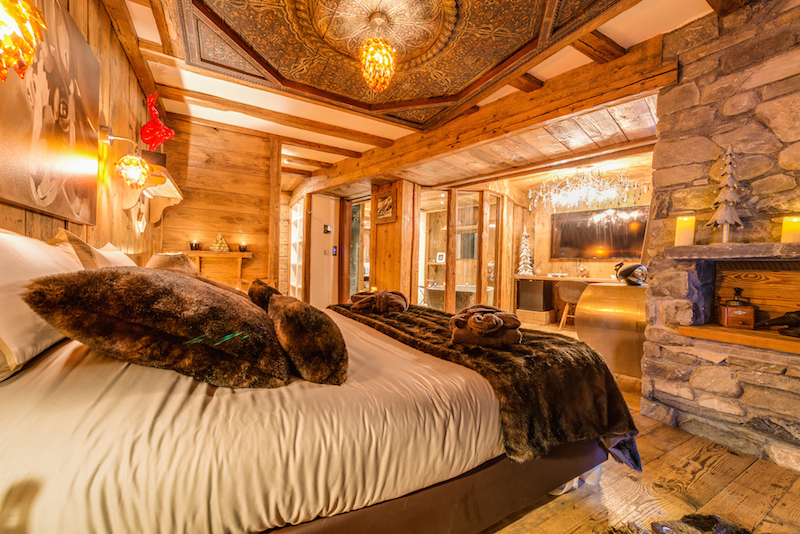 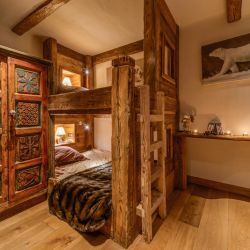 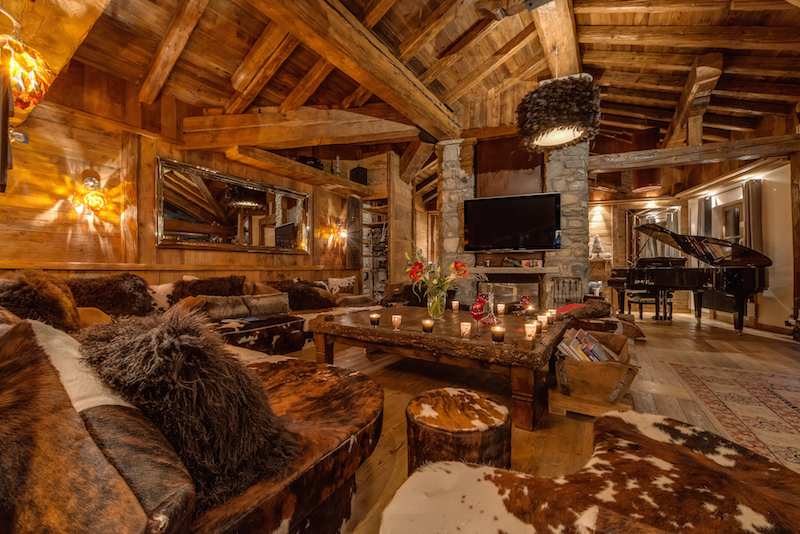 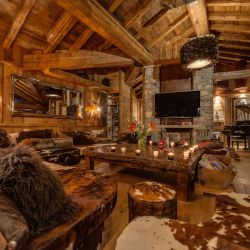 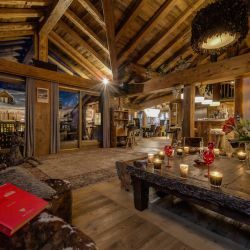 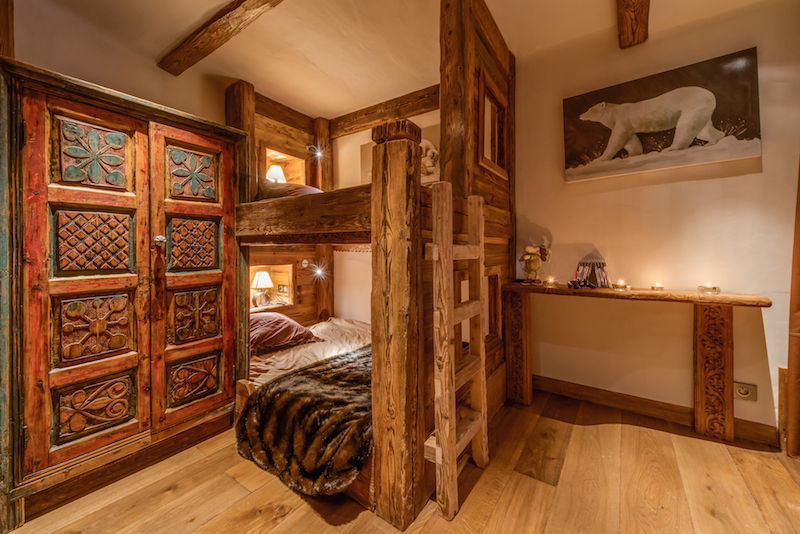 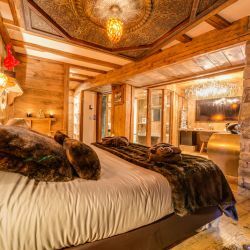 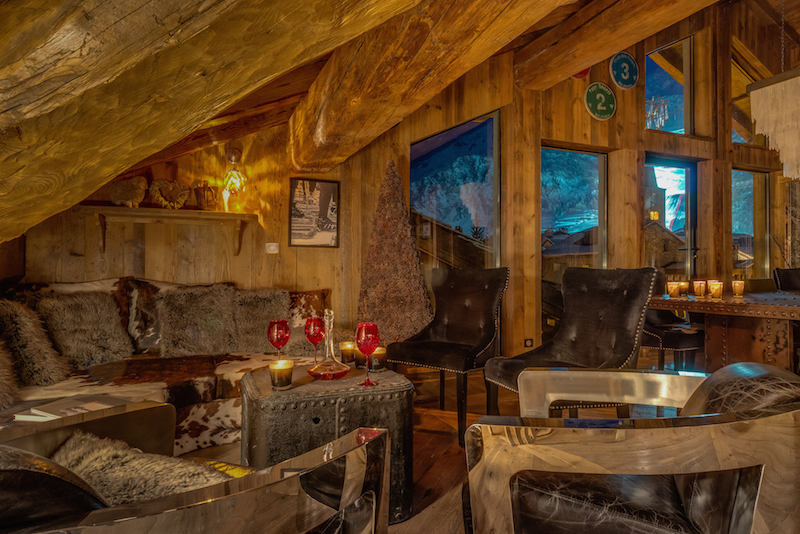 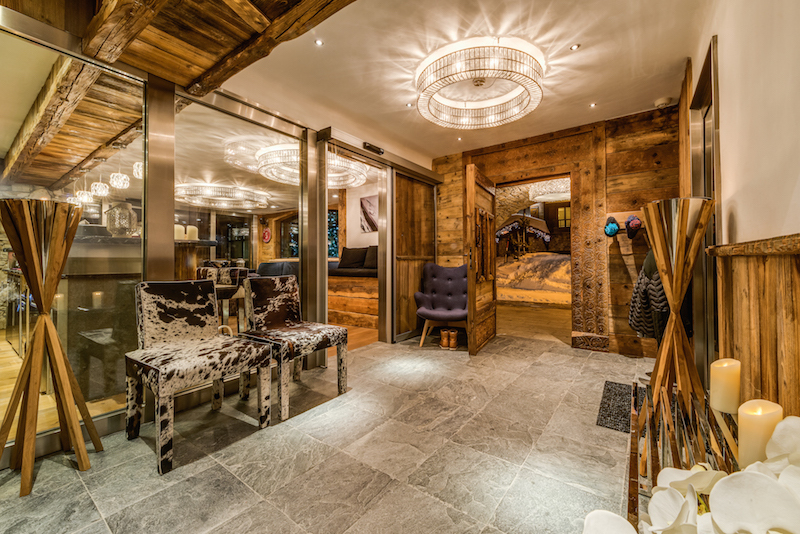 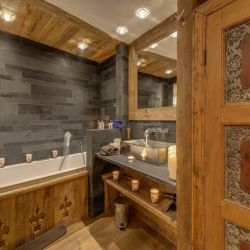 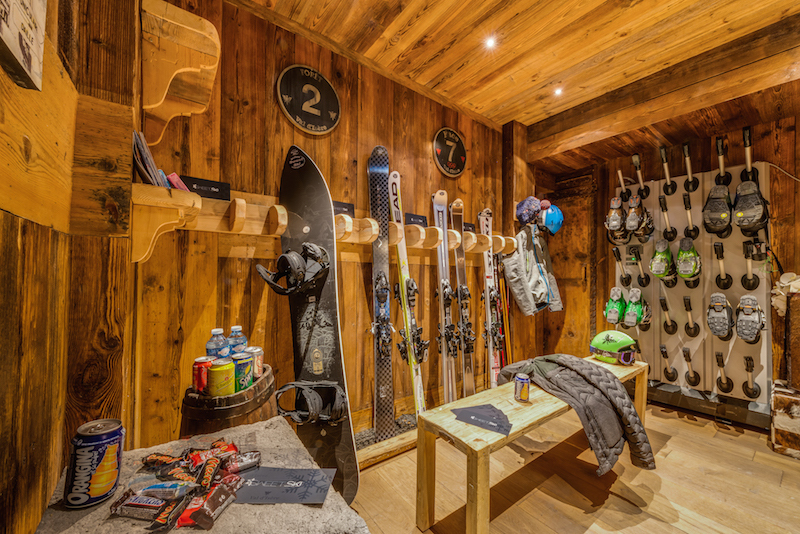 Stunning and exquisite, Chalet Lhotse is a fabulous chalet, blending rustic alpine style with reclaimed wood from Mongolia, intricately carved furnishings and designer pieces. 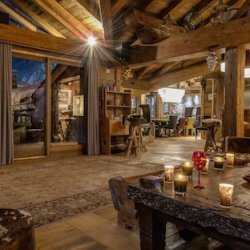 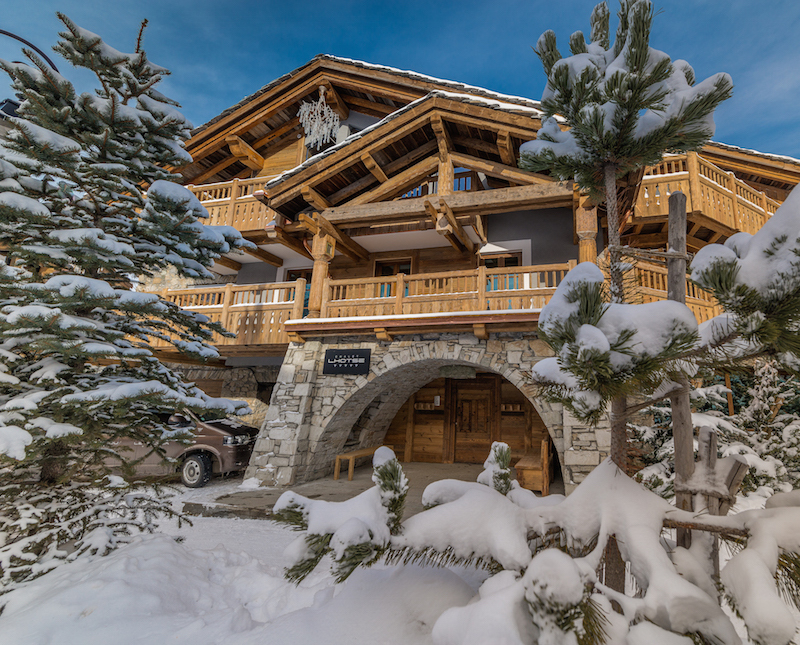 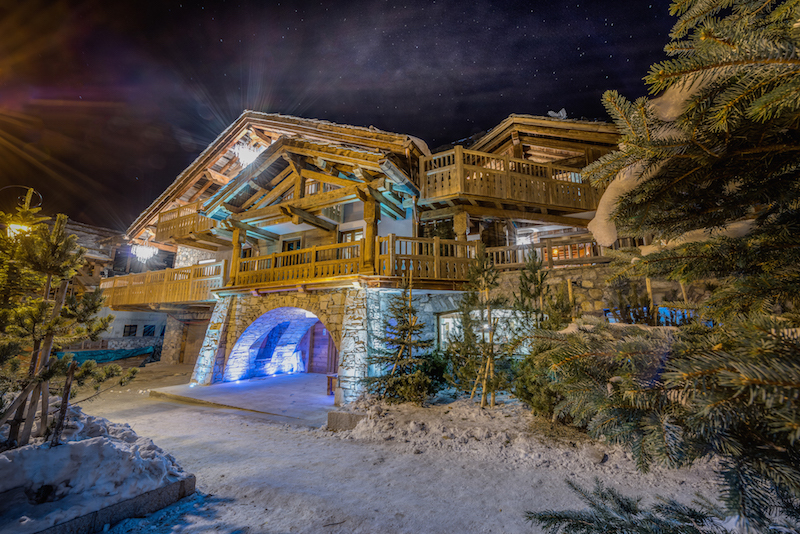 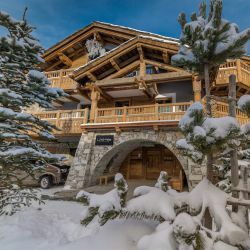 Located in the heart of Val d'Isere this chalet still retains a feeling of exclusivity and enjoys stunning views of La Face piste. 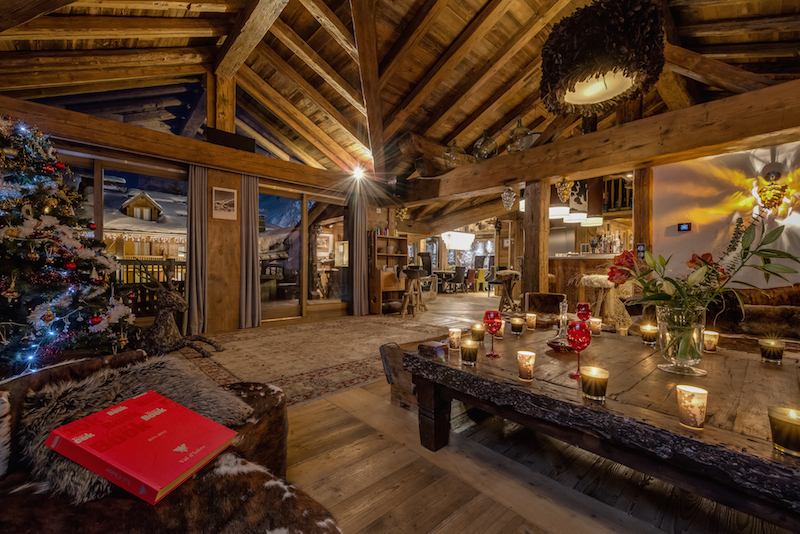 A fabulous open plan living and dining area comes complete with a grand piano and bar, ideal for socialising after a day on the slopes. 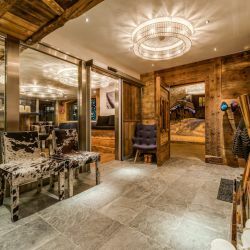 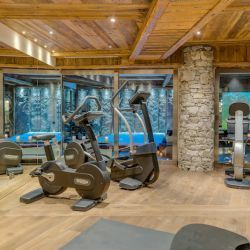 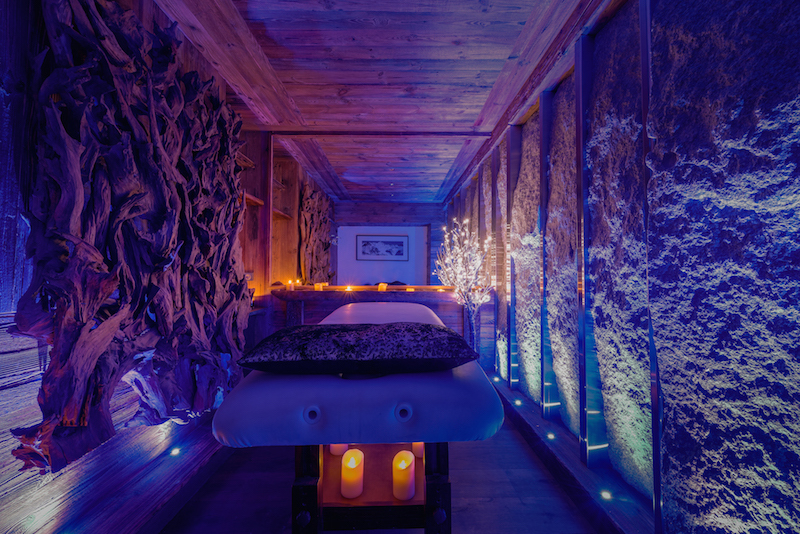 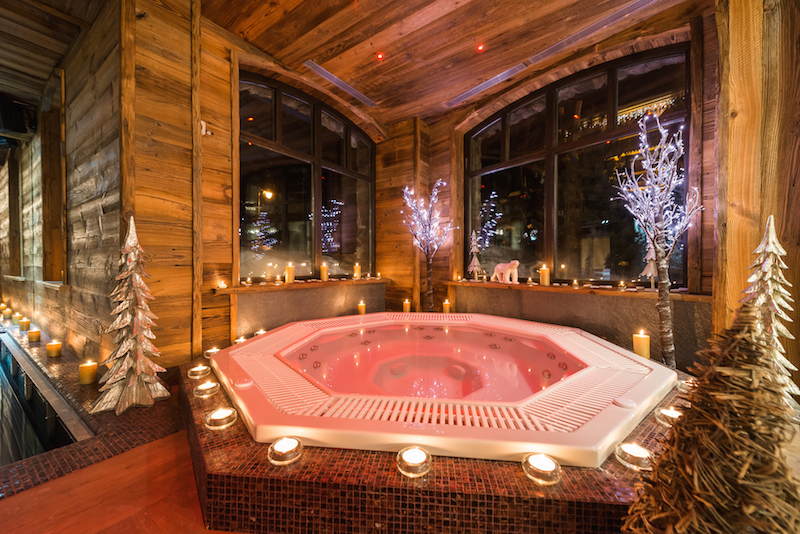 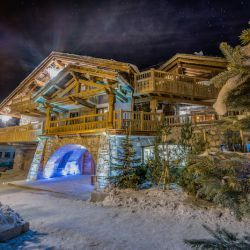 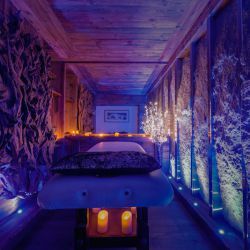 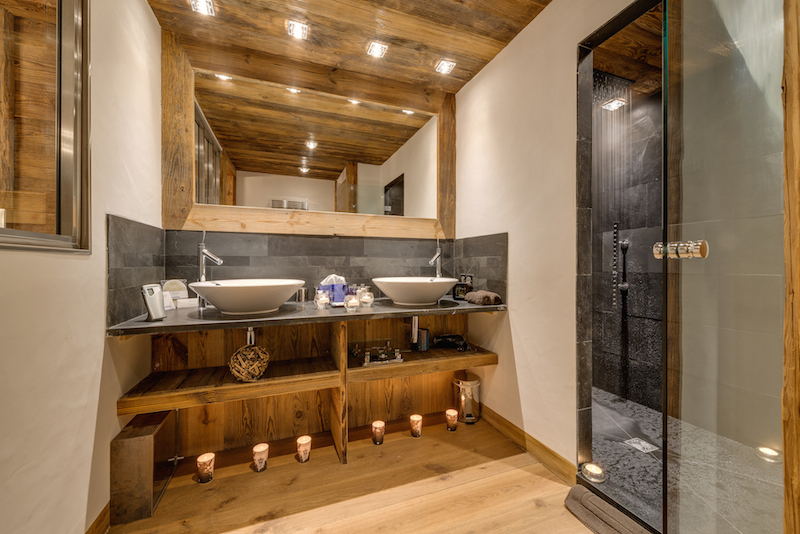 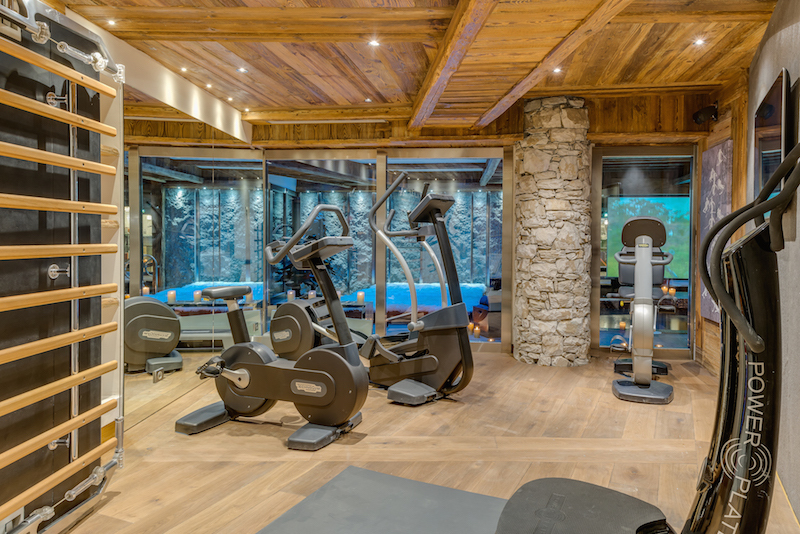 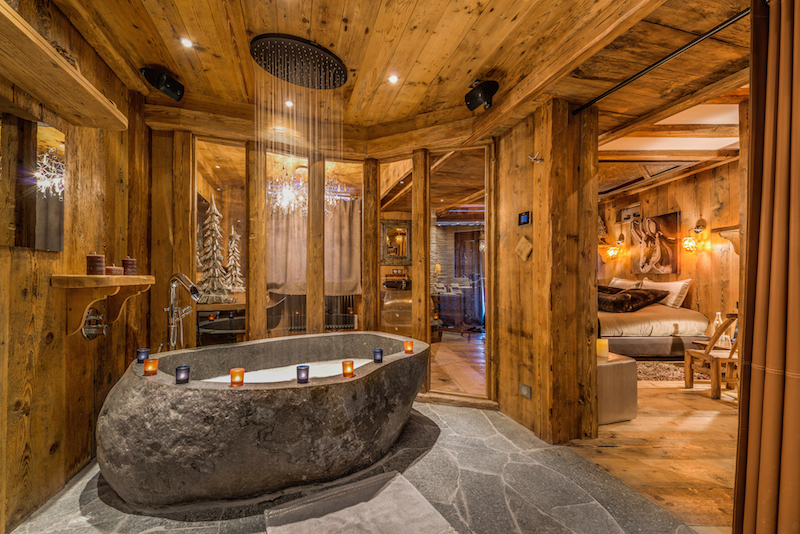 The spa facilities in this chalet are second to none, with an indoor heated swimming pool and state of the art projector screen, massage room, solarium, hammam, gym and outdoor hot tub. 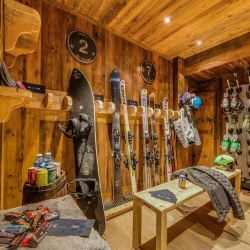 Perfect for families, Chalet Lhotse also has a mezzanine lounge area ideal for children, complete with widescreen tv and games console. 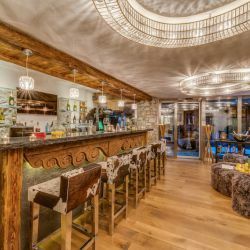 Dedicated service from a professional team. 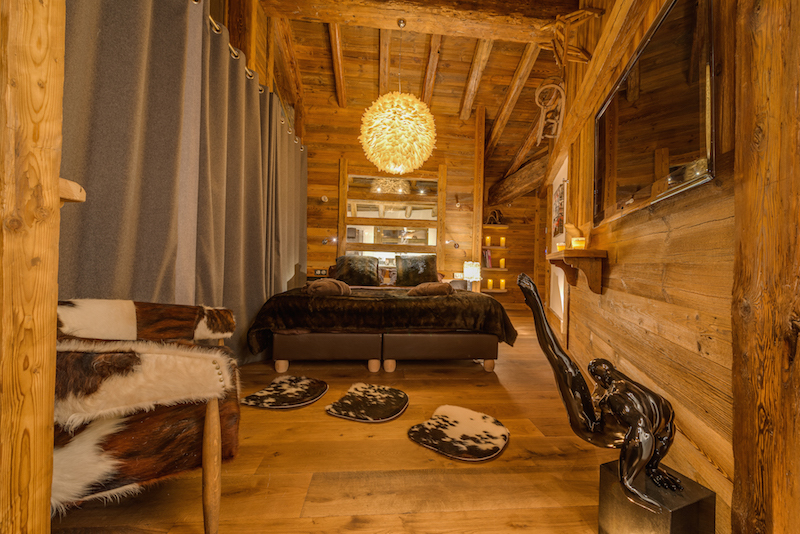 This unique chalet is spread over 350m2, sleeping 12 adults in 6 en suite bedrooms each with its own balcony. 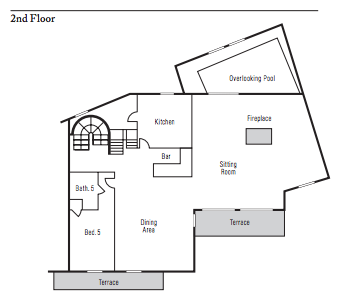 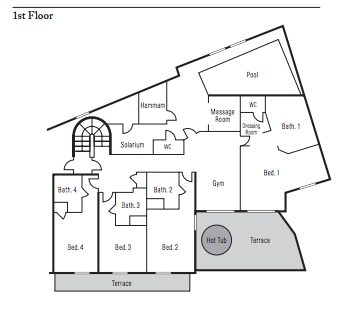 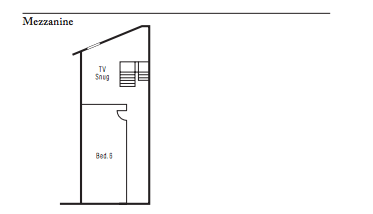 There is an additional bunk bed suitable for 2 children. 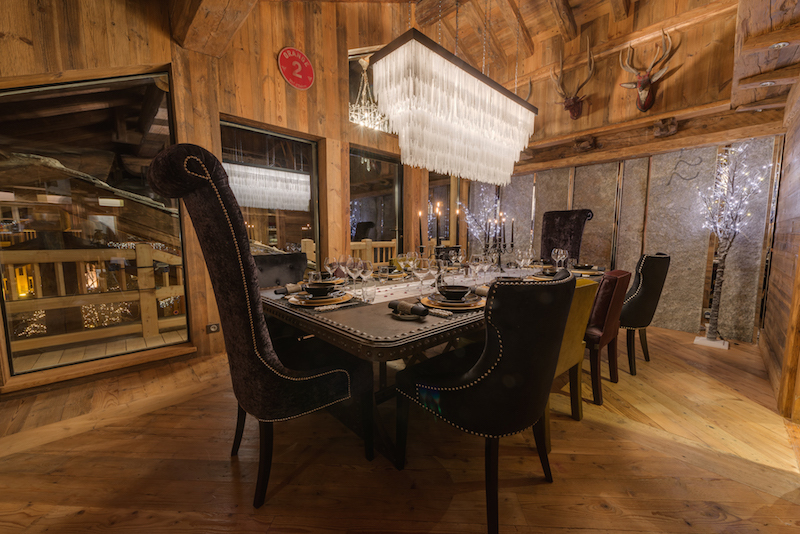 Children's lunch and supper every day. 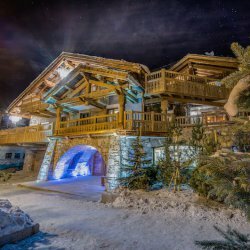 Prices are per chalet for the week and do not include transport.